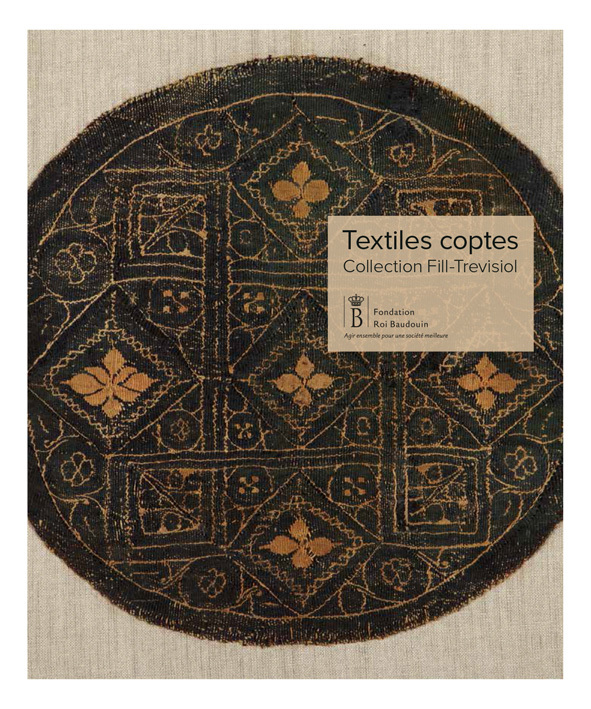 The Fill-Trevisiol collection has assembled linen and wool weavings, as well as a few silk and linen tapestries. “Since the age of the Pharaohs, flax, which was harvested in abundance in the Nile Valley, had been spun into linen and become the principle material used by Egyptians for weaving”, explains Chris Verhecken-Lammens, a specialist in textile analysis. “Thanks to their technique of ‘wet’ spinning flax, the Egyptians succeeded in producing extremely fine and smooth linen yarns.” The Greeks and the Romans introduced the use of wool in Egypt. Initially, wool was used only for the coloured tapestries that decorated woven linen, but later it was used for entire garments. Fibres of flax were S-spun (twisted to the right), whilst wool was both S- and Z-spun (twisted to the left). “These two directions of spinning were found above all in woollen threads of fabrics dating from the first two centuries that were unearthed at the sites of Roman garrisons in the Egyptian desert” says Chris Verhecken-Lammens. “The quality of these fabrics proves that the Romans were extremely experienced in spinning wool.” The weavers of linen and wool belonged to two different groups, each with their own particular methods, even though both used vertical looms. As far as silk is concerned, this luxury product was imported from the Orient from the Roman period onwards. However, it was only after the Arab conquest in the 7th century that the use of silk became widespread in the Islamic world, making it more accessible for use in clothing. Since linen was difficult to dye, the use of white fabrics was very widespread during the Graeco-Roman period. Wool, on the other hand, with its fibres of animal origin, absorbs dyes much more easily. The dyestuff used in Coptic textiles was primarily of plant origin, although animal dyes were also used. Among the colorants of vegetal origin, dyers’ madder (Rubia tinctorum) was used for red, dyers’ reseda (Reseda luteola) for yellow and woad (Isatis tinctoria) as well as (imported) indigo for blue. Beige, brown and black were obtained from tannins coming from gallnuts and sumacs (Rhus Coriaria). Dyes of animal origin were reserved for prime quality fabrics and were mainly used for obtaining red. They were extracted from insects such as Kermes vermilio, a parasite found on the kermes oak, from various types of cochineal (Polish, Armenian), as well as from molluscs. The famous colour purple, which was extremely expensive in Ancient Greece and Rome, was produced from the hypobranchial gland of molluscs of the Muricidae family. “In Egypt, a widely-used imitation shade of purple was obtained by successively dyeing with indigo blue and madder red” notes Chris Verhecken-Lammens. Another imitation technique to obtain purple consisted in mixing together indigo blue and madder red fibres in a single yarn.